How To Research On A Domain Before Purchase? 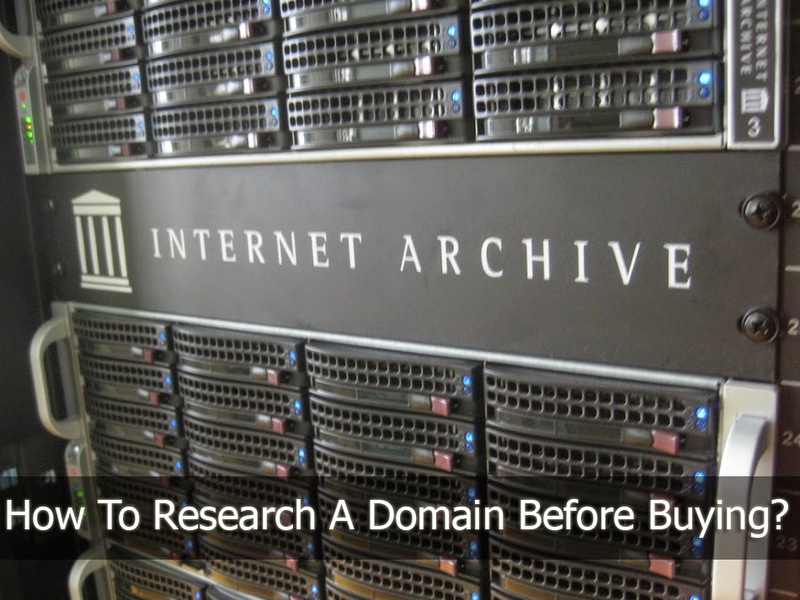 Are you doing your homework before buying new domains? When purchasing new domain names, chances are they might not exactly be 'new'. It could have been registered and abandoned by someone else before. Or worse, it could have been involved in malicious activities that could have resulted in search penalties. So how can one do prior research to check if a domain is safe before actually buying it? First step: do a site search. Search Google for "site:yourdomain.com" (minus the quotes), and you should come across pages from that domain, provided that there's some content on it. If you can see results from that domain, including the latest content, then that domain is in great shape, and has no indexing problems. However, be mindful of the fact that if a domain is parked, it won't usually return any result for a site search. So unless a domain name is parked, absence of results in site search can be pretty bad sign. Search the Google for the name of the domain itself. For example, "mybloggertricks" or "abcblog". This often helps you find out about the bad reputation (if any) of a domain. People could be talking about that domain name somewhere on the internet, or could be spamming with it. Check out what results get pulled out, and see if any of them indicates some cause for concern. If you go to archive.org, and put in a domain, it will show you what the previous versions (if any) of the site looked like. And if a site looks like it was spamming, then that is definitely reason to be more cautious, and maybe steer clear of that domain altogether. The previous owner might have burnt that domain to the ground, and you will have to do a lot of work to get it up and running again. If you're buying a domain from someone who currently owns it, you can ask them to let you see the Webmaster Tools console and/or the Analytics for that domain. Check for any messages from Google in GWT, and analyze Analytics trends. For example, the traffic might have risen up due to spam activity, or dropped significantly thereafter due to a penalty. You can inquire about these changing trends from the current owner. If, however you have already purchased a domain, and found out problems with it, you can do a reconsideration request. Before doing so, however, make sure to read the following article.